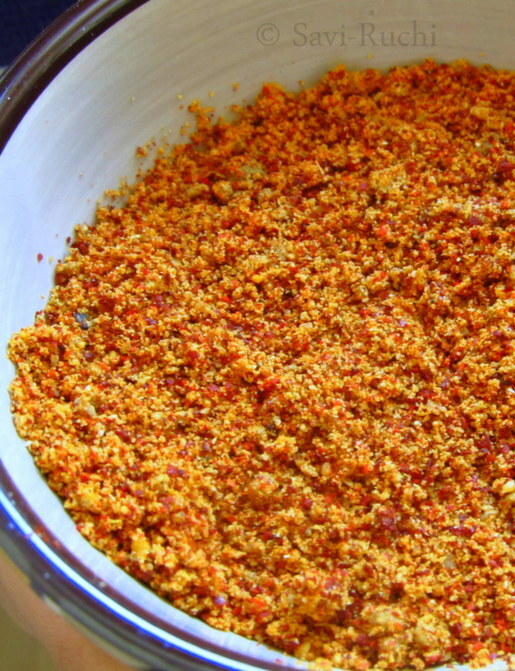 ...........Learn to make bisi bele bath powder at home. 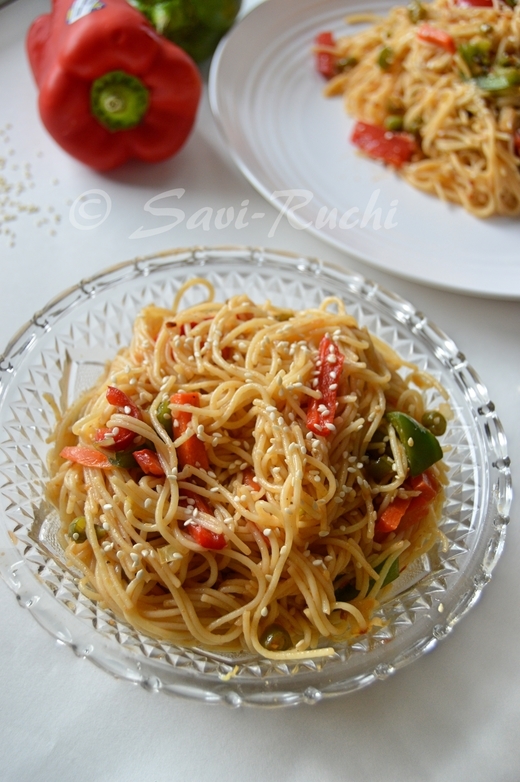 Bisi bele bath was one of the first few recipes that I posted on my blog way back in 2008. 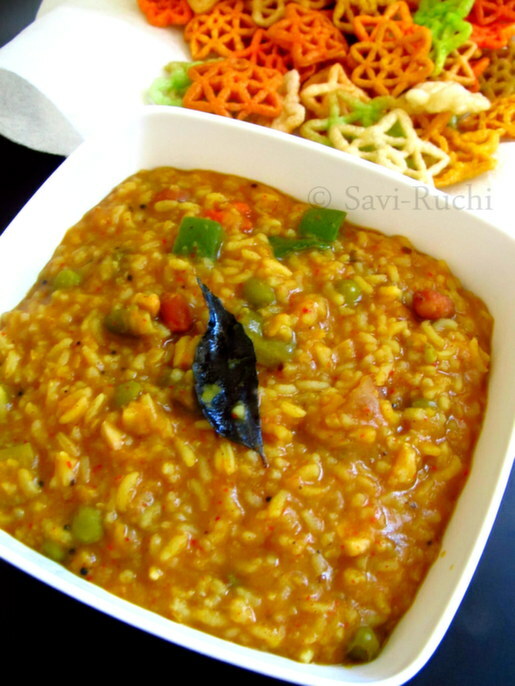 Bisi bele bath is a Karnataka delicacy and hands down my most favorite dish of all! 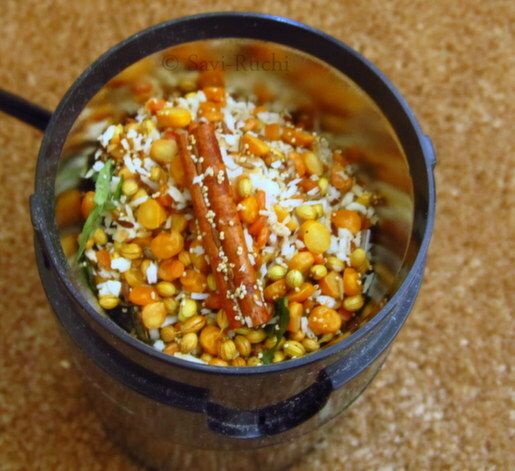 You could use MTR bisi bele bath powder or make your own powder at home. 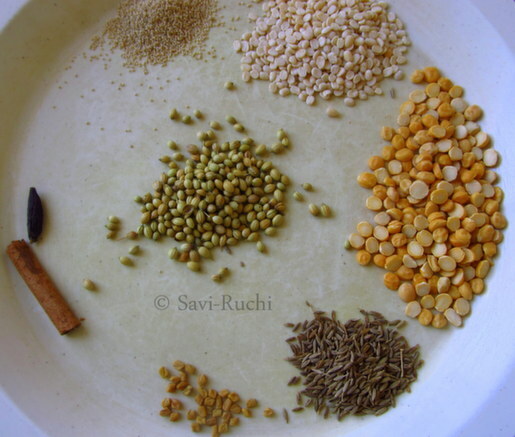 You could see the bisi bele bath recipe with detailed pictures here. Add oil to a small pan. 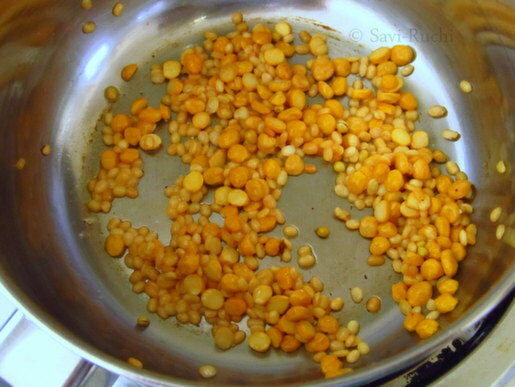 When oil is hot, throw in the gram dal & urad dal. 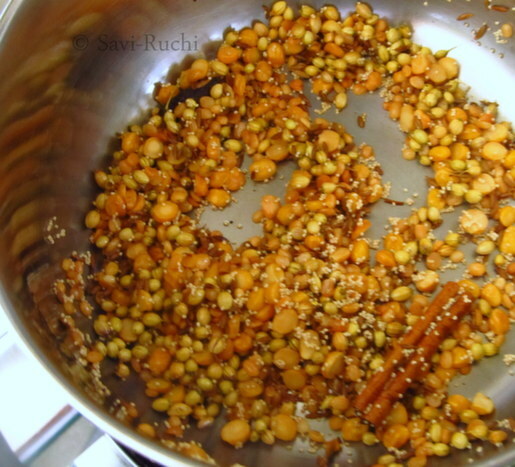 Roast the dals on a low-medium heat until the dal leaves out the aroma & changes the color slightly. Remove the pan from the heat. 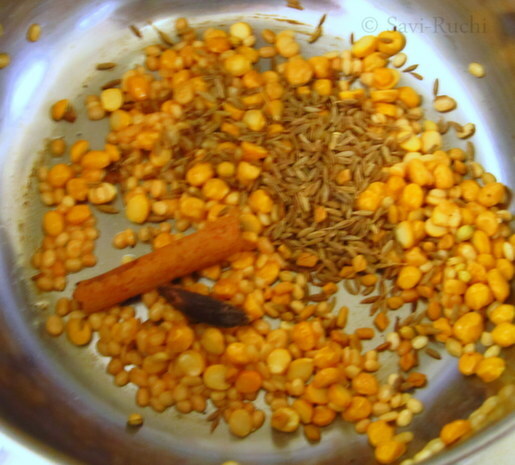 Add the asafoetida, curry leaves & dry coconut. Allow it cool. 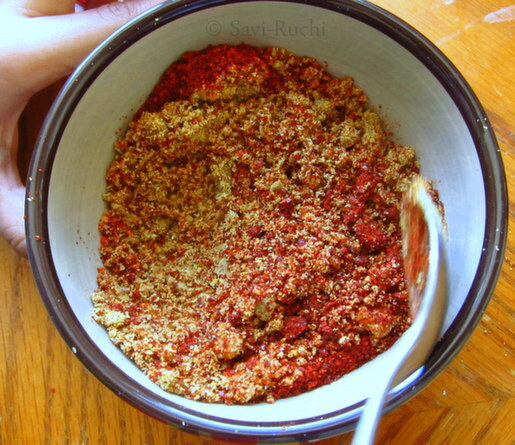 Add about 2 tsp of red chili powder & mix well. Store it in a air tight container & use it as needed. 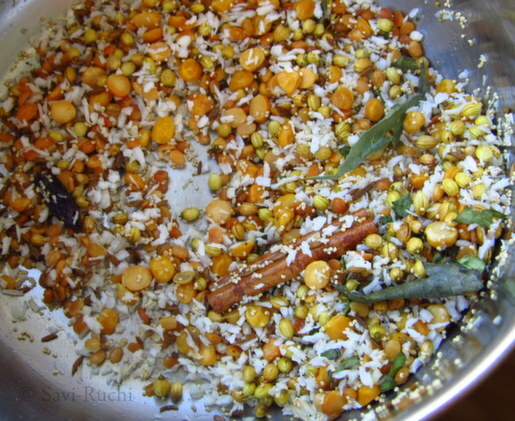 Amazing and colorful looking bisi bele bath. This used to be my favourite breakfast. Looks simply delicious. home made powders are always the best and so fresh, would love to try as my family loves this dish...looks super yummy !!! 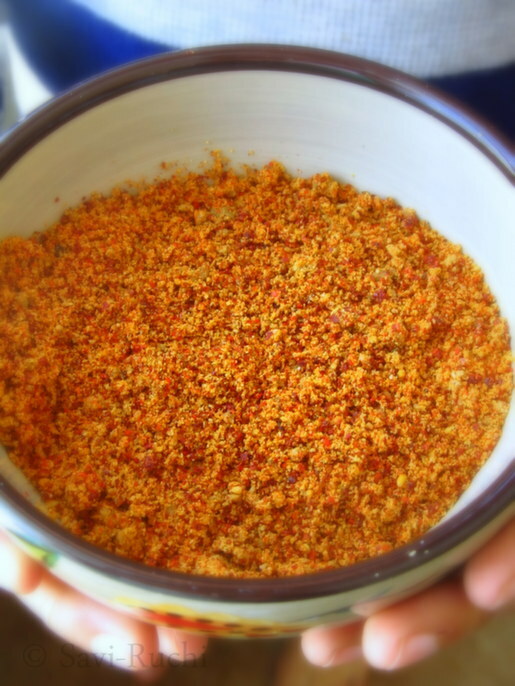 Cant imagine making BBB with store bought powder, such a fantastic spice powder. Hi! Tried mkg bisebelka pwdr without poppy seeds n with red mirchis. Cm out v well. Thnx.